Pfc. 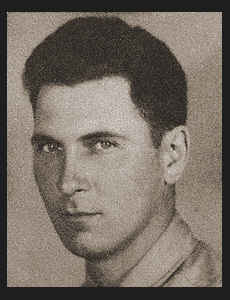 John Allen White, son of Mr. and Mrs. Fred White, attended Davidson High School; husband of the former Willa Jean Brown. Entered Army in Nov., 1943, trained in Ft. Sill, Okla., Camp Shelby, Miss. ; served in France, Austria, Germany, Czechoslovakia, Belgium; is now on duty in Austria. Awarded ETO Ribbon.